Feed a Hungry Mind today! We all know that the mind cannot function on an empty stomach. Thus, Hungry Minds provides breakfast and lunch for its students, most of whom only get to eat a decent meal in school. Join us as we Feed a Hungry Mind today! 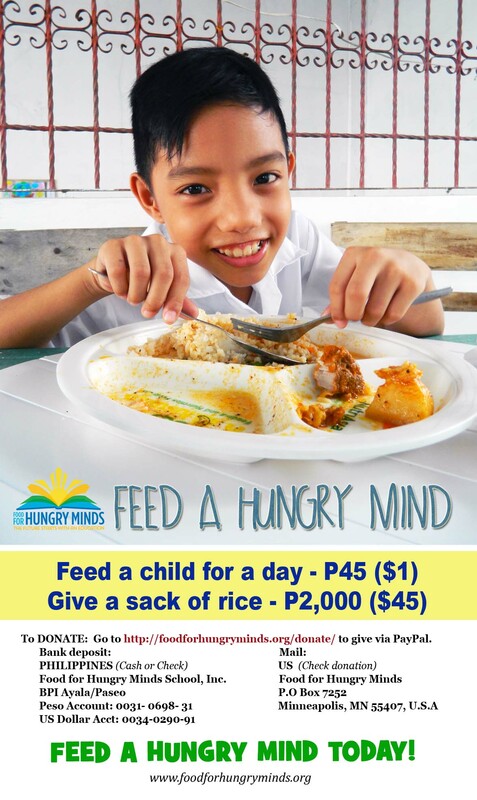 To donate: Go to http://foodforhungryminds.org/donate/ to give via PayPal. This campaign will run until October 15, 2015. Thank you in advance for your help!